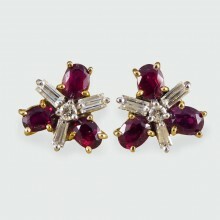 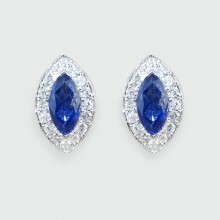 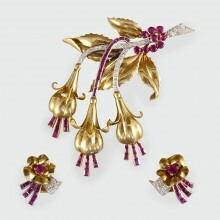 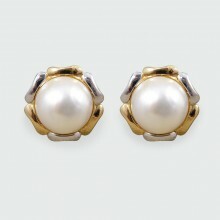 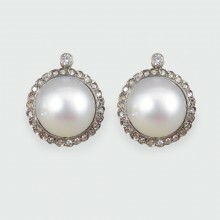 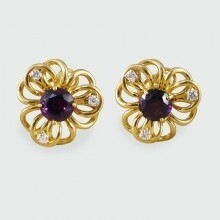 These contemporary earrings each feature three oval cut rubies surrounding three baguette diamonds a.. 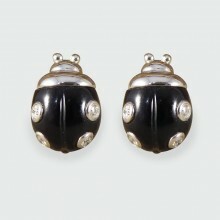 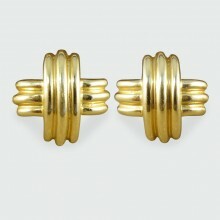 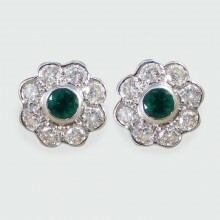 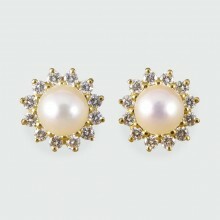 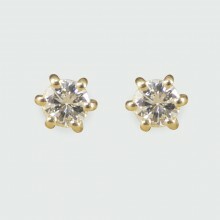 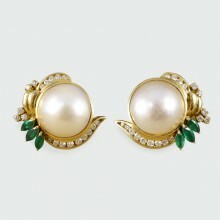 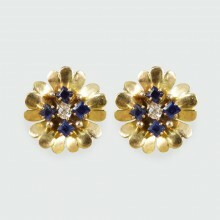 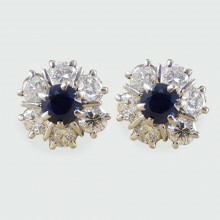 These antique earrings date to the Late Victorian period. 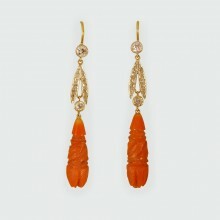 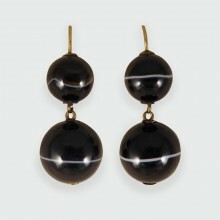 They each feature two banded agate stones ..